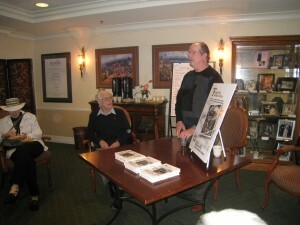 Michael and Jean-Marie were special guests at Brighton Gardens, a senior assisted living center in Santa Rosa, California, on Sunday February 21, 2010. Michael thanks the audience and prepares to introduce Jean-Marie. Jean-Marie tells her story, holding the doll that Private Tanner gave to her on the liberation day. 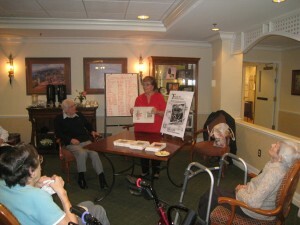 Michael and Jean-Marie enjoyed a wonderful afternoon with the residents of Brighton Gardens, many of which were veterans of WWII. 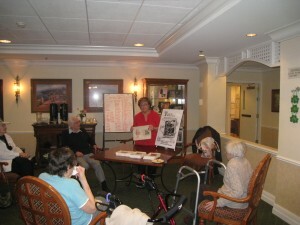 A book signing followed their talk that afternoon.